The Employee Spotlight is a monthly feature that highlights the great talent we have here at Angus Systems. This month we get to know Jason, a Services Specialist for Client Services! I decided in 1995 that I wanted to switch from customer service to working on software. So I worked for a company where I learned how to become a business analyst. I was a project manager and gained experience in marketing, sales, software development, coding, and support for their application. I also managed a team of three people. Then in 2004, I came to Angus Systems and started in Support. 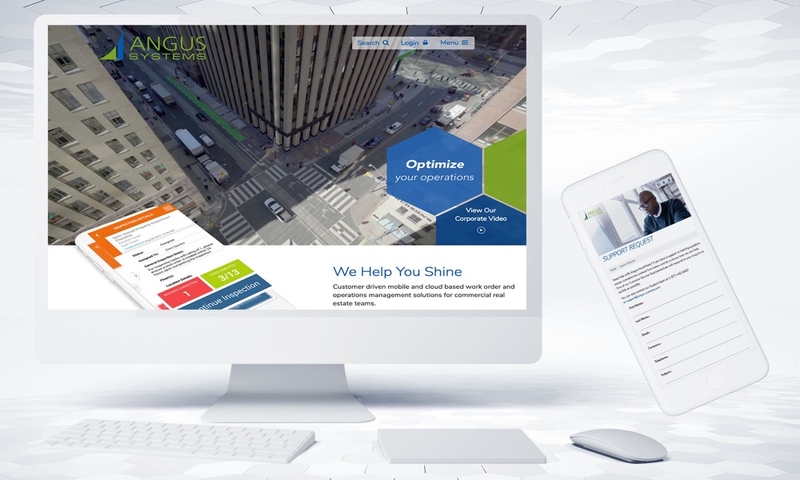 My roles at Angus Systems include business analyst for Client Services and enterprise business analyst. My main responsibility is finding solutions to problems. One of the things I’m working on is improving the flow of information between business units within the company. Also, I’d like to change our philosophy surrounding the word “team” because most people think of their team as their business department but the team is the company, so I refer to each group as a “unit” and the company as the “team”. When I first started here, Client Services didn’t speak to Quality Assurance (QA) or Development. So I established an escalation process, where Client Services escalates to QA and Development if there’s an issue with the application or we need something investigated. We’re still working to improve that flow of communication also for product releases. I’m working more on enterprise, and I’m working more with the different directors of the different business units – working more with them to solve their challenges and help them improve what they’re working on. Everyday is different! The same issue may come up but we always look at it based on different factors like who the client is and what the situation is. We don’t use a cookie-cutter solution for every client. The other thing is I never have a bad day at Angus Systems. Even when we have problems, it doesn’t cause frustration. All the business units have been very cooperative in working towards the same goal. It may be over 13 years that I’ve been here, but it still feels like it’s the first week because everything is still fresh and brand new. Always something new and different. I also find there are a lot of good people here, who want to push the company further. We also have a lot of people who have been here for a long time. SQL (a language to analyze the data and look for problems). I’ve learned a lot from our Database Administrators. I’ve learned something from every business unit. From Development, I’ve learned the life cycle of software and the process of developing software. When I started in Support, the very first thing I did was change the way we dealt with the clients’ issues. Previously, we would hear from the clients, investigate, and then call the client back. I implemented first call resolution, where the first time that the client calls in, we help them on that call and we get them settled. I’ve increased our service level of completion to 95%. My greatest accomplishment is maturation of the Support team by changing the culture of the group and expanding services, which transformed the service to be a business asset for the company. My work with the Support team included developing guidelines and policies to bring structure and intention to how we serve clients; creating tools and templates to reduce turnaround time in resolving recurring issues; and shifting the mindset of the team towards taking a positive, proactive approach to serving customers. In addition, I bridged gaps between the work of the Support team and the rest of the organization by building key relationships with the Product Development team and technical services, and demonstrating our value to the whole of the organization. As a result of my efforts during the five years that I led the Support team, it has become a trusted and valued resource by both our clients and staff. Part of how I came to work here was my dad’s company happened to be one of the first clients of Angus Systems’ sister company Angus Consulting Management Limited (ACML). If you weren’t working at Angus, what would you be doing? I want to be a philanthropist when I grow up. I like helping people, so if I had the money I would give grants to great organizations like the Centre for Addiction and Mental Health (CAMH). Pretty much every sport. I’m a huge Toronto fan. Friends call me the first disciple of Toronto. I like many different genres of movies. I also like shopping, travelling, and exploring downtown Toronto in the summer.